Before you begin, it’s critical that you understand your ceiling’s quality. Older homes or ceilings with water damage are likely weakened and therefore, installing a ceiling fan may not be safe before replacement. Assuming your roof is up to the task, your first job is to measure your ceiling’s slope. Most ceilings have a bit of a slope even if they’re built on level ground. Finding the slope of your ceiling determines how large of a fan you can buy and how difficult your installation will be. A quick word of advice: make sure to measure several times. Initial measurements aren’t always accurate and you’ll want to be precise before cutting into your ceiling. 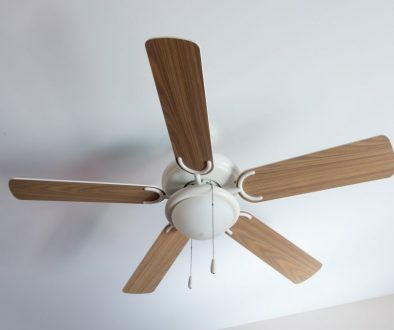 If you came to this article intimidated by the process of installing a ceiling fan, don’t worry, it isn’t too tough. And as it turns out, it isn’t going to take a whole day, either. With that said, it’s best to block off a few hours. We’d rather you spend a whole afternoon and work safely than rush the job and damage your ceiling and injure yourself. Power in the room will need to be shut off, so we recommend only working during daylight hours. 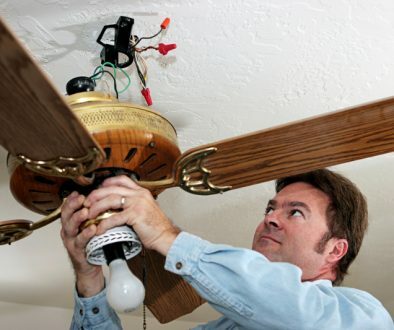 When it comes to ceiling fan installation, you’ll need to have a few pieces of equipment handy. If you need to, you can pick each of these tools up at the same location you buy your ceiling fan. First, you’ll need a crescent wrench. Most adjustable wrenches will get the job done. These come in handy when you’re tightening braces and bolts. Next, have a cordless drill on standby. You’ll need to drill small holes into your roof, so a drill is a must. A voltage tester is also useful for ensuring your ceiling is receiving the proper voltage. If not, consult your local electrician before moving forward. Finally, you’ll want a pair of pliers for crimping and snipping wires and tightening bolts. 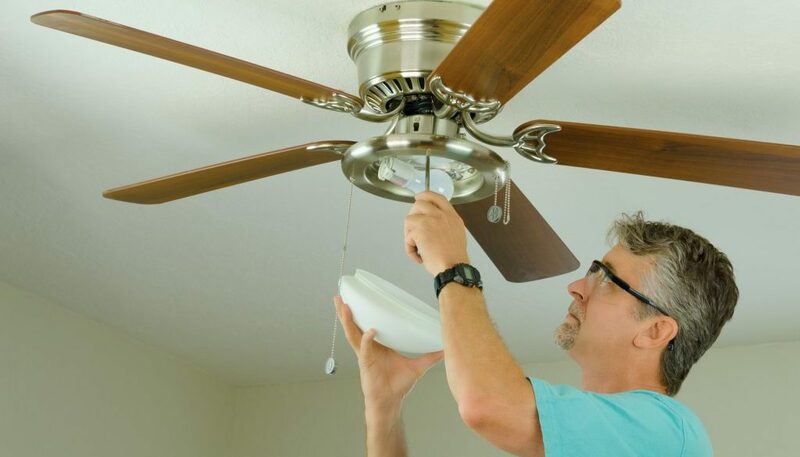 These three tips should help you install your ceiling fan safely, quickly, and efficiently. Of course, we understand that not everyone wants to take on the challenge themselves. Contact us today and ask about our ceiling fan installation services. With professional and courteous service, we’re sure you’ll love the end result.